FORBES has named Paul R. Ried, MBA, CFP® and President of Bellevue, Washington based Paul R. Ried Financial Group, LLC (PRRFG) as one of America's Top 200 Wealth Advisors for 2016. The list of distinguished advisors was posted August 3, 2016 on Forbes online. The Forbes ranking of America’s Top Wealth Advisors, developed by SHOOK Research, is based on an algorithm of qualitative and quantitative data, rating thousands of wealth advisors with a minimum of seven years of experience and weighing factors like revenue trends, assets under management, compliance records, industry experience and best practices. "Our team is honored to be selected as part of this elite group of advisors", said Ried. Ried is the founder of PRRFG. The firm specializes in Retirement Planning, Investment Management and Estate Preservation. The native Seattle area resident has served in the financial services profession since 1986. He is a Certified Financial Planner (CFP®), an Eagle Scout and holds a Masters Degree in International Business. "Education is the key to sound financial decisions". Ried is passionate about taking the complexity out of finances through education and consulting. As an instructor, he has developed and taught over five hundred corporate sponsored retirement classes to thousands of participants over a twenty-one year period. 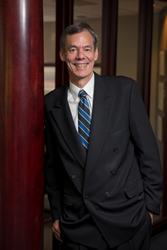 As an advisor, he brings three decades of experience to the individual retirement planning and consulting process. For Ried and his team “Our goal is to build lifelong relationships with each client, maintaining the highest standards of quality, professionalism and integrity”. Founded in 1986, PRRFG is based in Bellevue, Washington with clients in 35 states. They represent a dedicated and experienced financial team committed to independence and objectivity. Paul Ried is a Registered Principal and Regional Director of Cetera Advisor Networks LLC, a full service securities broker / dealer. Securities and Advisory services are offered through Cetera Advisor Networks LLC. Member FINRA/SIPC. Cetera is under separate ownership from any other named entity. Additional information is available at http://www.paulried.com. Recognition from rating services or publications is no guarantee of future investment success. Working with a highly rated advisor does not ensure that a client or prospective client will experience a higher level of performance of results. These ratings should not be construed as an endorsement of the advisor by any client nor are they representative of any one client's evaluations.